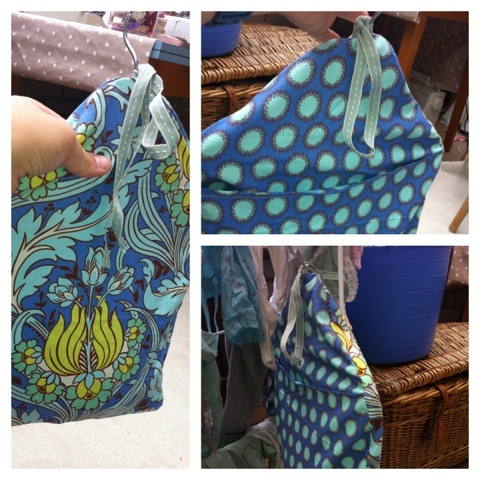 Today I made myself a peg bag out of some lovely Amy Butler fabric. I have been saving this fabric for ages because i hadn't found a suitable project for it. I love the colours and bold print but It's quite a loud style and could easily overwhelm! I used a child's wooden coat hanger for the hook and drew round the shape of the hanger to make a template.